This is a kit of my original watercolor paintings that I hand-painted in June of 2018 using watercolor paints on hot press paper. 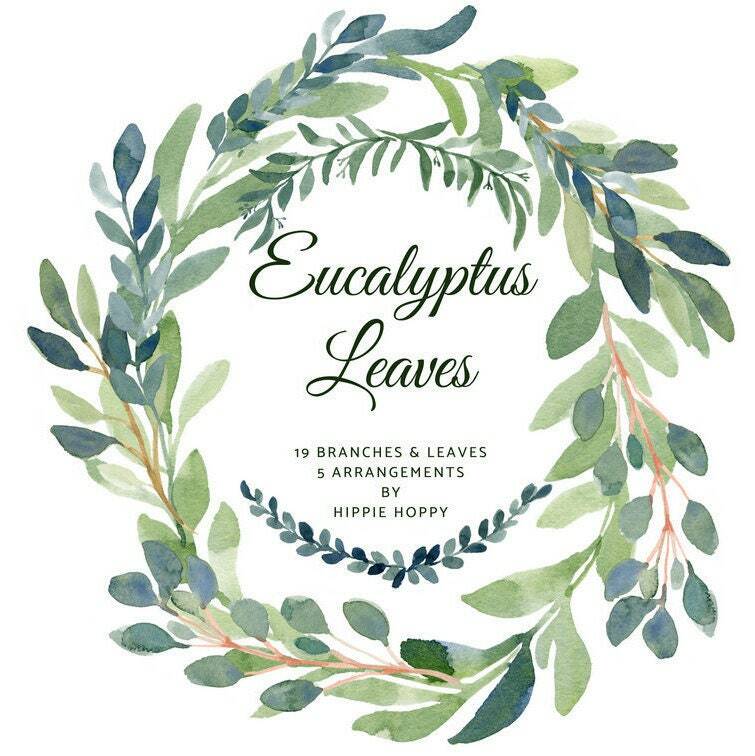 This kit features gorgeous eucalyptus wreaths, branches and leaves. 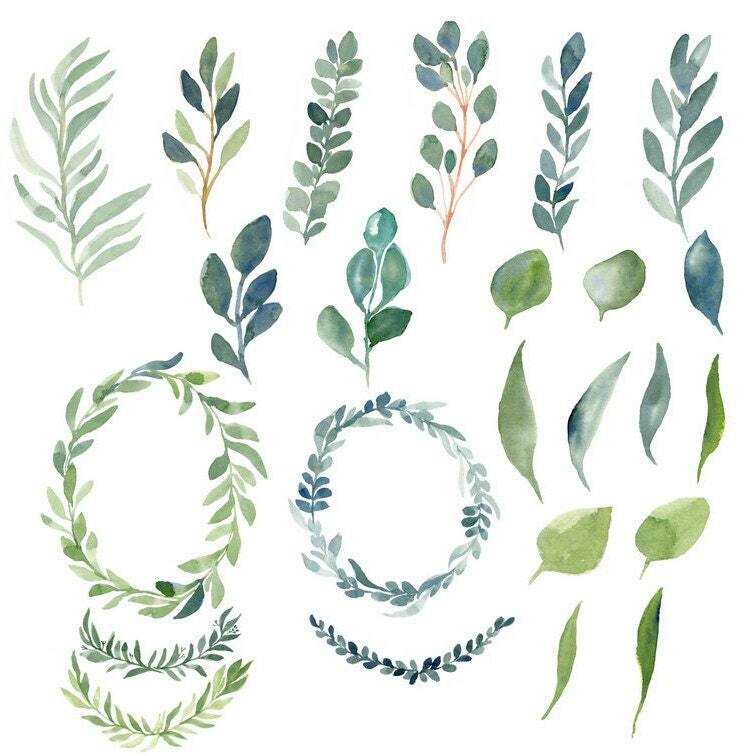 These are perfect for cards, scrapbooking, website branding, tags, mugs, shirts, invitations, logos and so much more! You will not receive a physical product, you can download the zip file after payment is received. 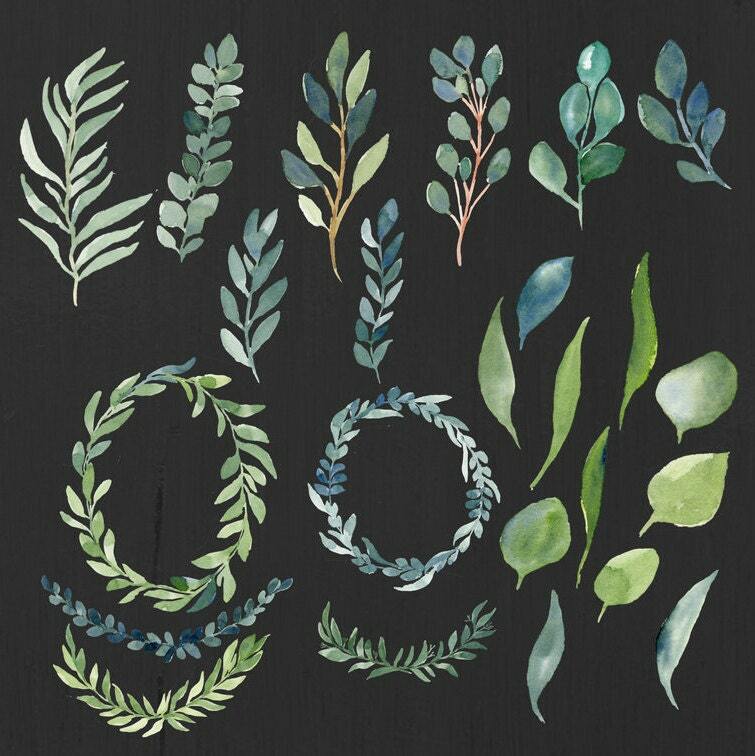 An email will be sent from Etsy with a downloadable link with your recently purchased clip art.